First off, let us start with Air & Waste Management Association’s 108th Annual Conference & Exhibition at Raleigh North Carolina. The theme for their conference and exhibition is “Connecting the Dots: Environmental Quality to Climate”. This is a 5 day convention program with guest and keynote speakers including Gina McCarthy the Administrator of the U.S. Environmental Protection Agency. An annual Waste Management & Recycling Conference is held at Inter Expo Center, Sofia which discusses case studies on waste management and provided a closer look at the market potential in South-East Europe presented by Save the Planet. The conference’s aim is to achieve more public awareness, wider promotion of benefits of recycling and for encouragement of eco-design. Tinos 2015 is holding its 3rd International Conference on Sustainable Solid Waste Management at Tinos Island, Greece. Conference topics to be discussed include: Source separation schemes for solid waste, Biological treatment techniques (composting & anaerobic digestion), EU policies and strategies for solid waste management, Socio-economic issues related to solid waste management, Household solid waste treatment technologies, integrated management in islands & other isolated areas, Decision support tools in the waste management field and many more. International Conference on Waste Management, Ecology and Biological Sciences (WMEBS-2015) will be held in Kuala Lumpur, Malaysia. Its aim is to provide a platform for researchers, engineers, academicians as well as industrial professionals from all over the world to present their research results and development activities in Waste Management, Ecology and Biological Sciences. An International Conference and Exhibition on Water, Wastewater and Waste treatment was also held in Bangkok, Thailand from 29 to 31 January 2015 titled as 3W Expo. In it more than 80 different 3W-topics were presented and discussed by 111 exhibitors from 15 different countries with 500 delegates in attendance. 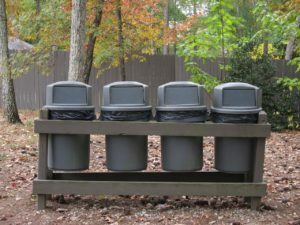 There are more definitely more Waste Management Expos & Conferences around the Globe and are too many to list and most of them happen on a yearly basis. It is great that more and more individuals are joining the cause in keeping our planet safe with proper waste management. If you have some free time, we encourage you to attend a Waste Management Expo or Conference near you. There you can learn new ways and strategies in dealing with waste as a whole.